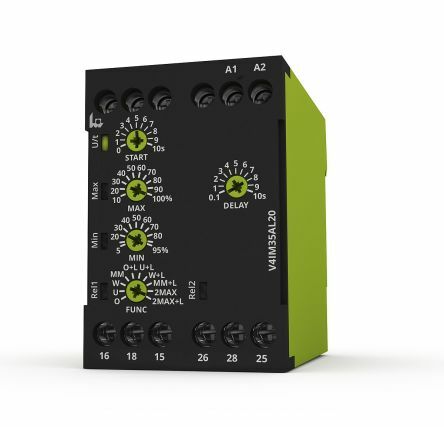 Schneider Electric RM35 UA multifunction current control relays monitor both AC and DC currents. 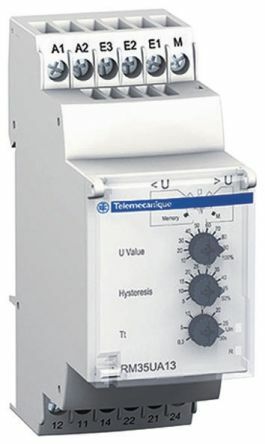 Featuring automatic current recognition for overcurrent and undercurrent moniotoring. Checks its own power supplyClear hinged front coverLED display of output statusDIN Rail mounting.